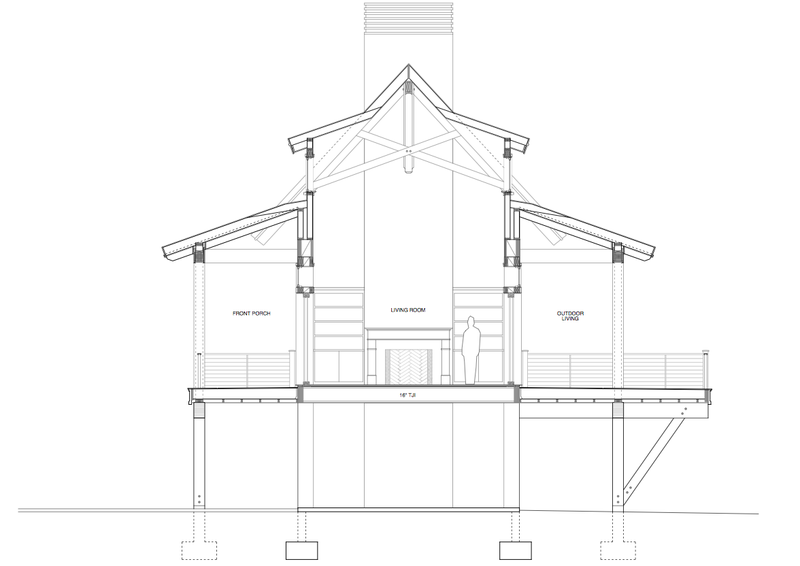 We recently had the honor of designing a new home prototype for the Kiawah Island Development Team. 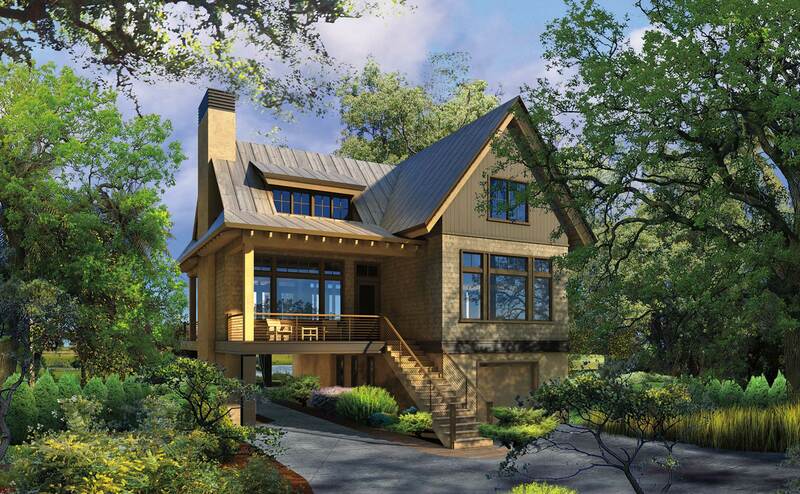 These homes will be located at the northernmost point of Kiawah Island within the Ocean Park neighborhood. As this is a completely undeveloped area, the site has ancient live oak trees and amazing marsh views. Once you climb into the tree canopy, you can see clearly across the marshes to the Atlantic Ocean. The development team has a unique vision of how this area naturally inspires owners to engage with the environment and requested that we design a home that would further encourage this interaction. We responded by designing a home that is elevated within the tree canopy with expansive glass walls that could open and close to channel breezes and capture views. The concept of this home centers around the great room (living – dining – kitchen) and how it’s glass doors can disappear into the walls and create expansive views of the marsh as well as the park. These 8′-0″ tall x 12′-0″wide lift + slide pocketing doors allow the living room to expand onto the covered decks from front to back, lending a very open and dynamic floor plan. A building section of the home can be seen below to help illustrate the open feel of this design. The play of interior light is further accented by the dormer windows above. 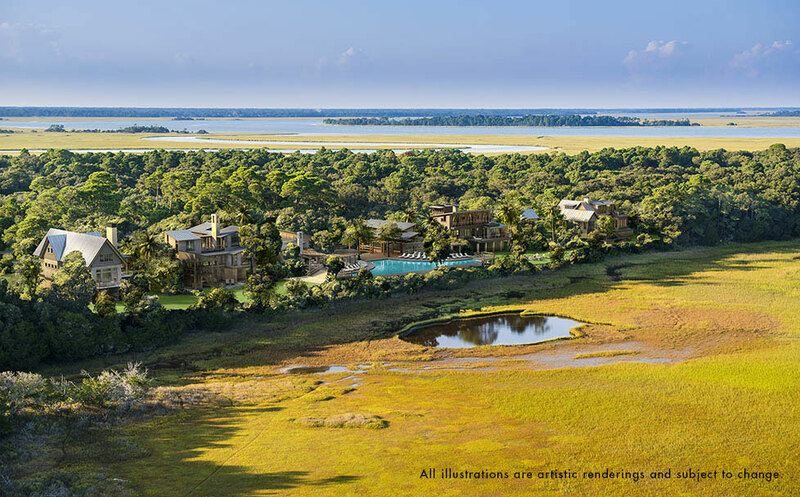 We encourage you to visit the Kiawah Island website to learn more about this particular design as well as the others that are set to begin construction in 2016. 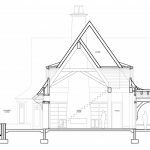 There are four home designs that each interpret the site differently, lending a variation of possibilities.